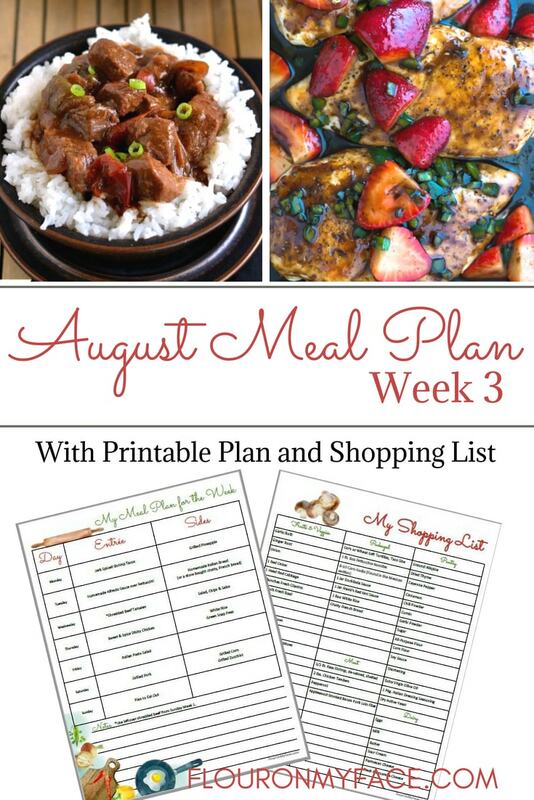 The Flour On My Face Weekly Meal Plan 8 is here for the 3rd week of August. Have you started meal planning yet? Check out the easy and delicious recipes you will be making for your family this week! Are you still on the fence about meal planning? Meal planning doesn’t have to be difficult. All you need is a few recipes your family already loves. Over the weekend chose the days in the following week you are going to serve them. Hit your favorite grocery store and buy all of the ingredients you will need to make those meals. Once you get into the habit of shopping for the ingredients for your favorite meals ahead of time meal planning is a breeze. Check out my tips on how to start meal planning. 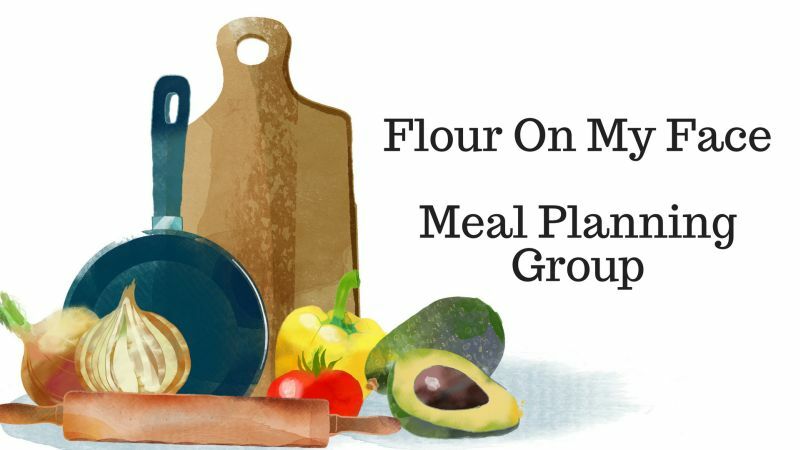 The Flour On My Face Weekly Meal Plan also included a free blank printable menu planning template that you can print out and write your own recipes in for your weekly meal plan. Are you a seasoned meal planner? Leave me a comment telling me why you meal plan or share a meal planning tip with me. Monday: My Crockpot Pepper Steak with Rice is both full of zesty flavor and affordable. And since you mix everything right in your crock pot it’s a breeze to make & clean up. Tuesday: Take your taste buds on a tour of the Great Sea with Mediterranean Chicken with Artichokes and Rice from Dear Creatives. Wednesday: Yes! You can make pasta dishes in the Crock Pot using uncooked pasta. And my Crockpot Cheesy Beef Spaghetti is a good one to try with the family. Pair with green beans and garlic bread for a comfortingly good dinner. Thursday: Healthy goodness is what you are going to experience with Barbecue Turkey Meatballs and Mango Jalapeno Slaw serve with riced cauliflower and your entire meal is lean, full of healthy fiber, and packed with an assortment of savory and sweet tang. Friday: Strawberry Balsamic Chicken is a simple, yet elegant dish for a Friday night dinner. Especially if you are planning on entertaining friends, neighbors of family. Serve with a simple spinach salad with toasted almonds and a simple lemon vinaigrette dressing. Sunday: Chicken & Cheese Quesadillas from Crystal & Co. are fast and simple to make. Add Black Beans and a simple salad on the side for a complete, yet easy, meal.